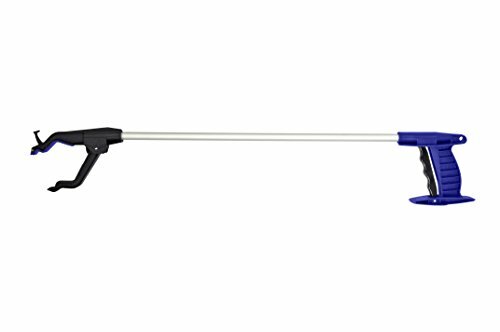 Blue Jay Nothing Beyond Your Reach is a 30" reacher grabber that helps pick up items from the lawn, floor, shelf or furniture. The magnetic tip of the reacher grabber pickup tool provided helps pick up small objects, while durable enough to carry heavy objects. Crafted from quality material, the Blue Jay extended reach gripper helps in grabbing items, which are hard to reach. A trigger lock is available to keep jaws locked on items. Flexible grip reacher grabber: can be used to pick up small objects, and strong enough to handle heavy, large objects like the jars or cans.